Could Police Have Prevented Bloodshed in Charlottesville? 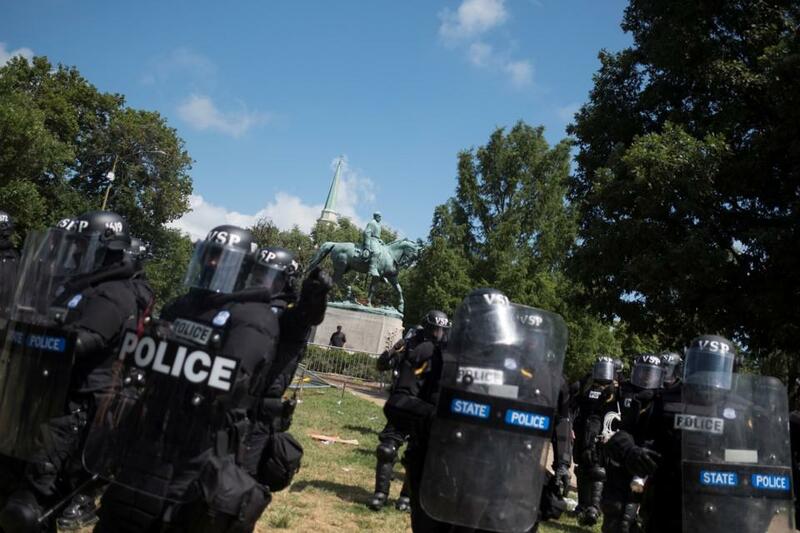 Neo-Nazis and counter-protesters alike think that local and state police should have done a better job keeping violence from breaking out over the weekend. Speaking after violent protests tore through Charlottesville, Virginia, this weekend, Governor Terry McAuliffe lamented that some things were out of the control of police. The prime culprits for the death of a woman in a car crash—as well as other crimes, including the beating of a young black man—are, of course, the apparent neo-Nazis and white supremacists who perpetrated those crimes. But the job of the Charlottesville police and Virginia State Police was to prevent violence like this, and some observers, including both white supremacists and counter-protesters, are charging that law enforcement didn’t do enough to avoid bloodshed. "We'll get the hemp ropes out, loop them over a tall limb and hang all of them," said Goodloe Sutton, publisher of the Democrat-Reporter, after admitting he wrote an incendiary editorial. The island nation’s religious minority was rarely threatened. The Easter bombings changed that.